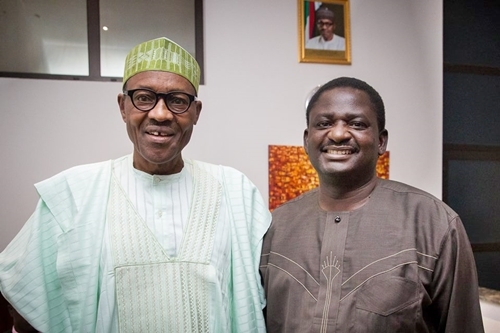 While speaking in an interview in Abuja over the past weekend, the Presidential Special Adviser on Media and Publicity, Femi Adesina, on Sunday, gave reasons why President Muhammadu Buhari is delaying the declaration of his ambition in the 2019 presidential election. According to him, its an attempt to prevent opponents from sabotaging the country, adding that if the President speaks too early about his ambition, it may give ammunition to unnamed opponents to throw everything at him and sabotage the country. Adesina said that the President cannot speak on his intention to run or not to run with the election still about one year away as he knows the consequences of doing so. On when the president will declare his intention, the he said: “You know the peculiarity of Nigeria particularly now. If the president speaks too early, it’s a problem. There is a lot of sabotage in the country. “You have also heard so many have said ‘don’t run.’ Because they know that if the president runs, others people should just run a way because they don’t have the foggiest chance in hell to beat him. So, they want to discourage him from running. Recall that President Buhari had in November last year while speaking with some members of the Nigerian community in Cote d’Ivoire, said he came to the meeting with two governors so that their people may vote for him in future. While apologizing for turning up late at the occasion, he said: “First, I want to apologize for keeping you for too long seating. This is because I insisted on the governors attending this meeting. On his recent visit to Benue state over herdsmen killings, he had also said at a stakeholders meeting that he could only make promises to them when he returns there for campaign if indeed he will be coming for campaign. Adesina also explained the president’s proposed visit to Rivers state, which Governor Nyesom Wike is faulting because of what he described as being based on wrong premise. The Presidency had listed Rivers among the states the president will visit over killings in parts of the country most of which is blamed on herdsmen. When told that Wike does not understand why the President is basing the Rivers visit on crisis, Adesina said that Buhari wants to condole with the families of those affected by various killings in the state. He recalled the Omoku killings and the beheading of other victims whose heads were taken away by their assailants. He said “If he (Wike) doesn’t understand, the rest of the country understands. We understand, other Nigerians understand. Even people in Rivers state understand because on New Year Day, a minimum of 24 people were killed in Omoku. “So, is that not crisis? And can you count the number of people that have been beheaded in Rivers state in recent times? People will be killed and heads will be cut off and the assailants will go away with the heads. So, can anybody say that there is no security issue in that kind of place? On what will become of the trip if the governor does not welcome it, he said: “I’m sure he will be formally informed of the date. So, if he now says he doesn’t want the visit, it’s left to him and the federal government to decide the next step. “But the president is visiting so that he can condole with people who lost their loved ones, 24 people minimum, were killed in Omoku. So, those people are the reason. Those people and the many beheaded; relations of those beheaded and their heads taken away, are the reason why the president is visiting the state,”he said.